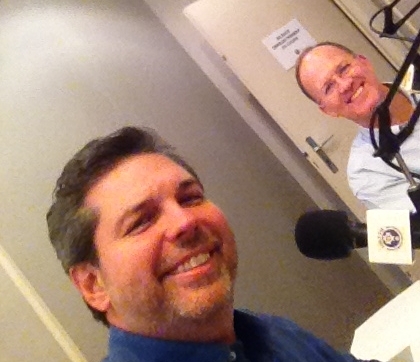 Tune in to ACP Today, the American Church in Paris radio show. Broadcast the first and third Mondays of each month at 20h45, the 45-minute program is an exciting, inspiring mix of music, interviews, sermon highlights and discussion on hot topics. Don't miss it, and please invite others to listen — friends who may be housebound or who would simply like more devotional time on a Monday evening. 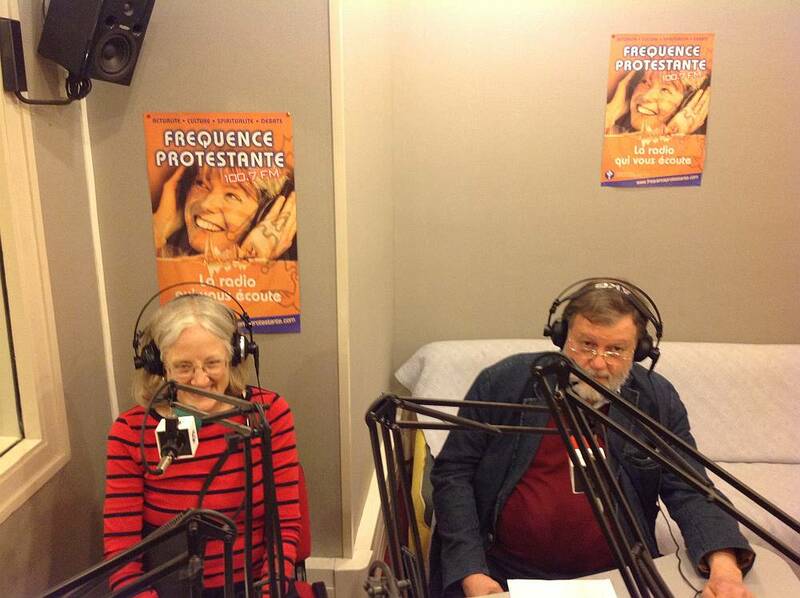 That's 100.7 FM on the radio dial, Radio Fréquence Protestante. ACP Today, Faith Talk from Paris! Julia Metcalf, intern for Youth & Young Adults, speaks about the ACP theme: No Longer Strangers. Nina Montoliu interviews Frédéric Mion, President of Sciences Po, Paris. Lanecia Rouse, ACP visiting artist, shares about her personal experience of creating at the ACP. Monica Bassett interviews author and creative coach, Eric Maisel about creativity and finding meaning. Host Ashleigh Searle Picq is joined in the studio by Rev. Dr Grace Ji-Sun Kim. 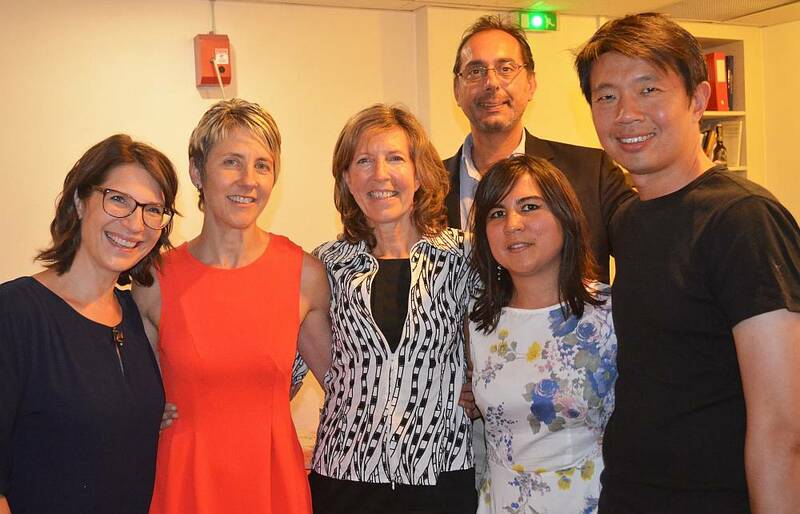 Dr. Kim will be delivering a Thurber lecture at the American Church in Paris on 20 June entitled - Embracing the Other: The Transformative Spirit of Love. Dr. Kim is an Associate Professor of Theology at Earlham School of Religion and the author or editor of 12 books on a wide range of themes intercultural ministry, social justice, environmental issues and the church. 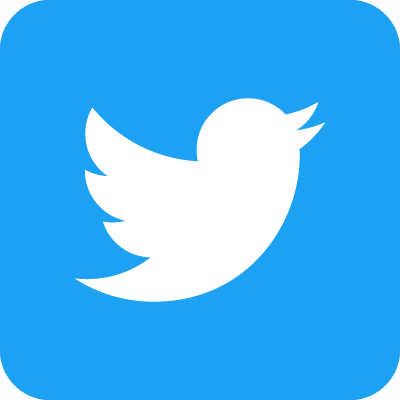 ACP Associate Pastor, the Reverend Timothy Vance tackles a Question of Faith and explains where the Holy Spirit appears in the Bible and how the Spirit manifests itself. We also hear from Bob Stains, a trained conflict resolution coach and consultant, on how Reflective Structured Dialogue can help churches have tough conversations on difficult issues. Last, the team of volunteers with Vacation Bible School talks about the plans for this year’s August session entitled “Shipwrecked”. Pentecost Monday has us talking to Pastor Scott about the presence of the Holy Spirit working in our lives. Pastor Carol Simpson and husband Mike Simpson speak about their individual careers and living their lives in faith together. Lionel Montoliu shares how he became baptized by Carol Simpson. Felicia Henderson shares words about listening to God and to each other. Pastor Tim Vance, youth intern Jake Van Aston and wife, Trisha, join Monica Bassett on the set to talk about this year’s Lenten journey and Contempletive Prayer. Konnie Labecki answer’s questions about The Significant Marriage Seminar in March. 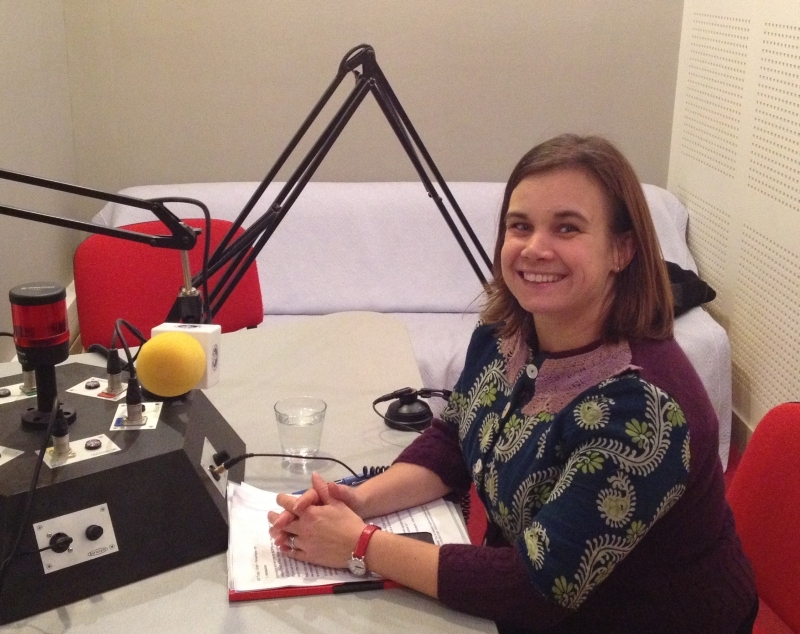 Ashleigh Serle Pique interviews visiting Rev. Lewis Poag about his ministry at the ACP. ACP Today begins with a Question of Faith about Pentecost. Pastor Jeff Powell describes the upcoming retreat at Abbé Fleury. Pastors Jodi and Doug Fondell speak about their experience with the Youth Program this year as well as the Serve Our City event in July. Ashleigh Searle Picq interviews Allison Wheeler, Director of Children’s Worship and members of the cast to talk about the June 3rd Life is Good musical. Easter Monday on the radio and Rev. Jill Geoffrin speaks about leading the Praying the Labyrinth retreat on 22 April. Chip and Leslie Dobbs-Allsop talk about the upcoming Thurber Lecture on Walt Whitman's poetry and it's influence by the King James Bible as well as preaching and sabbaticals. Luce Kairu interviews Peter Norman Moody about the Alpha Course and Solomon Kabongo-Kooper tells of his involvement in Serve the City mission. Pastor Scott and visiting Pastor Brian Paulson speak about finding spirit during the Lenten journey. Nina Montoliu interviews Tom Booth, co-founder of La Louve, a new food coop in Paris, based on the model of the Park Slope Coop in Brooklyn. Connie Lee Bennett, holistic therapist, shares her ideas of loving ourself in order to be ables to love our enemy as ourself. Kicking off 2017, Pastor Scott reflects about New Year's resolutions as he answers the Question of Faith. Guest Pastor Sabrina Slater shares her journey of faith to becoming a pastor. Lisa Previtt explains how to get involved in the Alpha Course at ACP. On the last radio show before summer break, ACP Today’s host, Monica Bassett, welcomes Bruce Morgan talking about recent tragic events in Nice along with gun violence in the US. Via phone, Dr. Tony Campolo discusses welcoming the LGBT community into the church. Wani Manley speaks about her book, Get out of Survival Mode & Live the Life you Really Want. Camilla Radford Furman shares more information about August’s Vacation Bible School. Such an inspirational show! Rev. Jim Lockwood-Stewart shares how to make the Lenten path meaningful. Host Monica Bassett has a conversation with Nicole Primmer who shares her transformational walk with breast cancer and how music elevates her spirit. Amit Pieter explains who is honored on President's Day. Alicia Berberich describes her workshop teaching spiritual gifts. Relational coach, Anne Salsbury celebrates Valentine's Day by identifying 5 love languages and more. In this episode visiting pastor Rev Jim Lockwood Stewart answers a question of Faith on Ash Wednesday. We talk to the Reverend Jodi Fondell who will be leading the upcoming women’s retreat on the theme « Blessed to be a Blessing ». 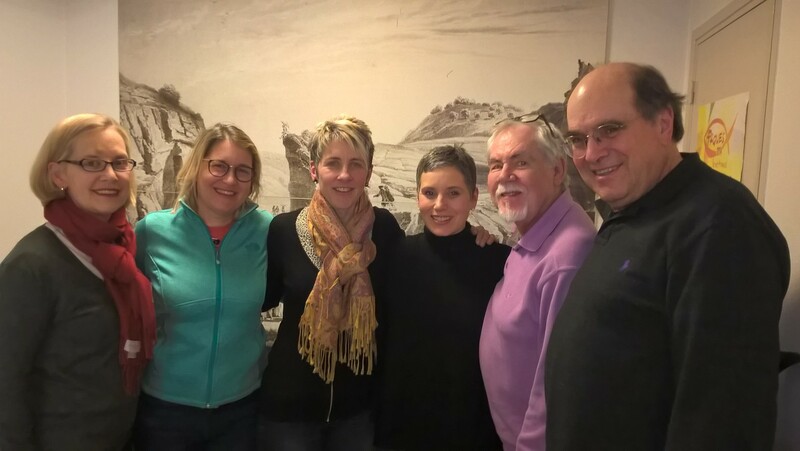 We hear from Pascale Deforges and Claire Boutet who are preparing for a Mission trip to Pune India to support the work of the Deep Griha Society. Youth Pastor Billy Roberts tells us about ACP’s new buddy program connecting high school students with 9-10 years olds as mentors and friends in the church. Last we take a sneak peak at a special music lesson during Children’s worship. Host Ashleigh Searle Picq. In this ACP today, we say goodbye to associate pastor Michelle Wahila and visiting pastor Jay McKell, and hello to the new visiting pastor for 2016, Jim Lockwood-Stewart. Nicole and Mark Primmer are also in the studio to talk about their long-time experience in the ACP vocal choirs and bell choirs. And youth intern Alyssa McKnight tells us about the new Longest Night service for those who are not feeling particularly festive this Christmas. Hosted by Genie Godula. This ACP Today was taped three days after the Nov. 13th attacks in Paris. 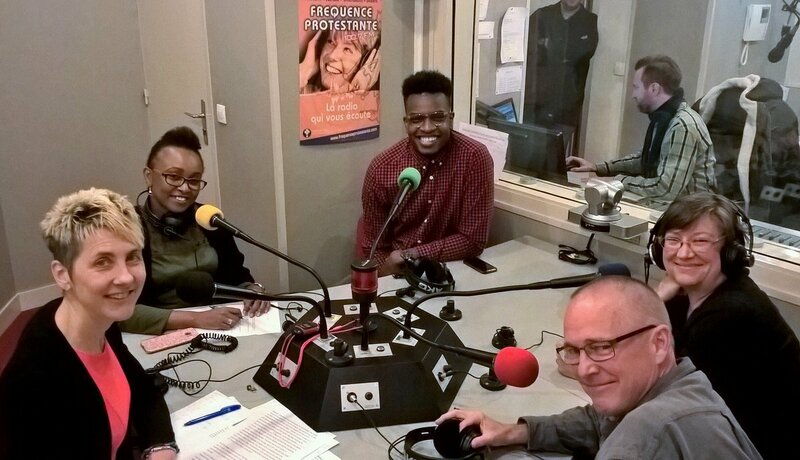 Visiting Pastor Jay McKell reflects on the question of where God was that Friday night in the French capital. We'll also talk to a clinical psychologist about dealing with the trauma of such an event. The show also looks at stewardship, Thanksgiving and the Pope's encyclical on climate change ahead of the major summit in Paris. Hosted by Genie Godula. Fifty years ago this October, Martin Luther King Jr. preached at the American Church in Paris, and in this ACP Today we talk to esteemed King scholar, Dr Clayborne Carson. The Stanford professor was handpicked by Coretta Scott King to edit and publish the papers of Dr. King and we'll be speaking at the ACP Oct. 22nd. ACP's ministries are also on the show with a look at the youth music ministry, the ministry to help the refugees from Syria and Iraq and the Prêt à Manger ministry that brings food to the homeless every day. And interim associate pastor Jeff Powell talks about his upcoming Listening Skills workshop and the meaning of the Greek word, Koinonia or Fellowship. Hosted by Genie Godula. On this ACP Today, host Monica Bassett welcomes Pastor Scott Herr who talks about Yom Kippur and how understanding this Jewish event can deepen one's faith in Christianity. Kim Herr speaks about the orientation program, Bloom Where You're Planted. Holly Nugent, Asst. 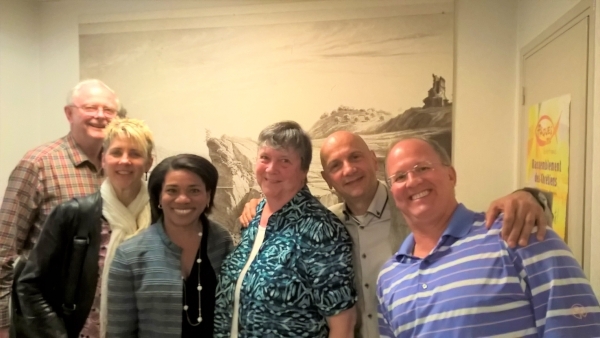 Director of Contemporary Music, discusses her ministry and life in France. There is also discussion about what it means to "love yourself" when the Bible says that we should love our neighbor as ourselves. For the last ACP Today show before the summer holidays, host, Monica Bassett, talks to guests about art, music and spirituality. Curator, Liyu Leo talks about the Jerome Tisne photographic exhibition in the sanctuary. Artist, Kuy Delair explains the theme and content of Young Artist Week. Asleigh Searle Picq interviews Allison Wheeler about VBS. Joe Schlie speaks about the Agape art exhibition. Candice and Frederic Nancel talk about bringing Nashville's singer-songwriter Amy Grant to concert to Chantilly and ACP. 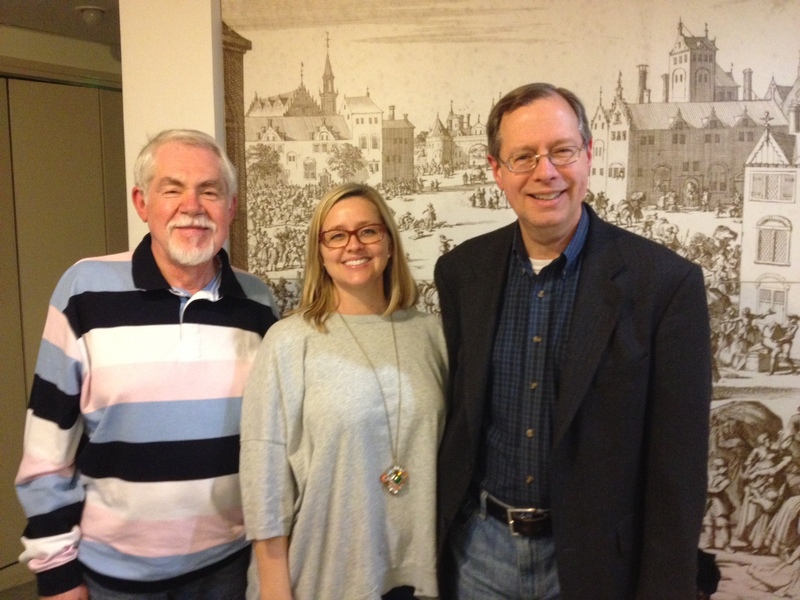 On this ACP Today, hosts Ashleigh Searle Picq and ACP Senior Pastor Scott Herr talk about pastoral care, prayer, the Beatitudes and theologian Karl Barth with Dr George Hunsinger and ACP spring retreat leader, Rev Dr. Deborah van Deusen Hunsinger. We hear from Amit Pieter about the origins of Father’s Day. Teri Lee Valluy talks about her devotional book: Things I've Learned about God from Parenting My Kids: Life Lessons for God's Children. 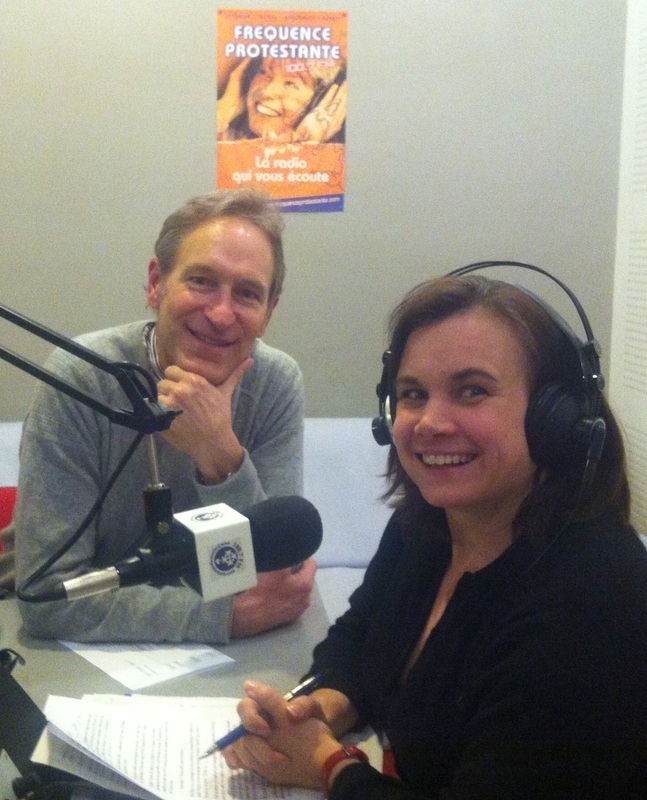 Host Amit Pieter interviews professional singer, Alexia Rabé, an ACP member. She plays 4 songs, 1 in English, three in French. She speaks about her albums, future projects and live concerts. Visiting pastor, Jeff Powell, plays a favorite Quaker song and answers the Question of Faith about the hows and whys of Pentecost. Robert James Oliver spoke with host Amit Pieter about women in real estate, with an emphasis on Paris. Monica Bassett, artist, spoke with Suzy Schlie about AGAPE. Ron White called from California to speak about his Lincoln dissussions on Thurber Thursday. For La Chandleur, Groundhog day and Valentine's day on the horizon, this ACP Today show is all about crêpes, groundhogs and intercultural love! Amit Pieter gives a history lesson about the origins of la Chandleur and Groundhog Day. For our Question of Faith, Pastor Scott analyzes the spirtual lessons from the movie Groundhog Day. 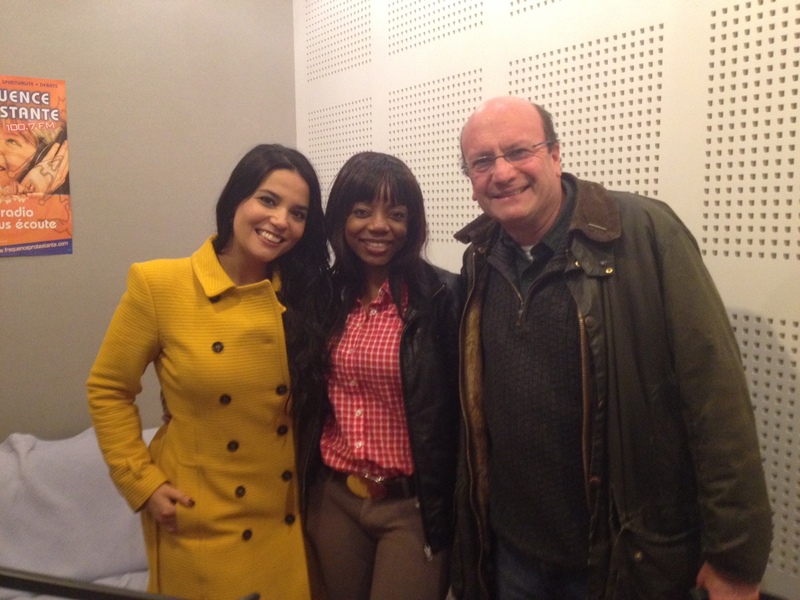 Host, Ashleigh Searle Picq interviews Jean-Christophe Bieselaar on his book Viv(r)e le couple interculturel. 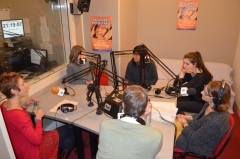 Monica Basset and Marie Groult talk about the ACP Multicultural Couples Group. Nancy Dimich takes a look at the calendar of upcoming events at ACP. The ACP Today radio team welcomed new Youth and Young Adult intern Anastassia Sharpe to the set. 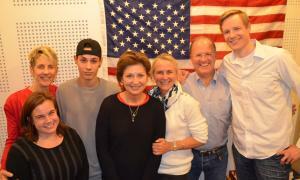 She talked about making the transition from living in the Usa to Paris, something fellow guest "Global Mom" Melissa Dalton-Bradford spoke about on the show in a live interview from Germany. She is a featured speaker at the annual "Bloom Where You're Planted" event for Anglophiles new to Paris, held at ACP October 4. Also an interview with Greg Cootsona, Associate Pastor at Bidwell Presbyterian Church in Chico, California and author of the new book "C.S. Lewis and the Crisis of a Christian." On this ACP Today in between July 4th and le 14 juillet, Pastor Scott answers a Question of Faith on the biblical understanding of freedom. Pastor Bruce Morgan shares his thoughts on the ACP wedding ministry and the advice he gives couples as they commit themselves to each other before God. We hear from Dr Martha Robbins who led the Adult Spring Retreat. She explains how retreat participants conversed and prayed with the monks and endeavored to hear the voice of God in new ways during their time away. The best of Broadway on the Quai – a celebration of American musicals - wraps up the show. Amit Pieter-Picard, professor at Universite Paris XII, discusses the historical origins of VE Day on May 8. Fellow historian Robert Fulton, doctoral student at Northern Illinois, talks about how the American Church in Paris has been such a tremendous blessing to him during the past year. And Lexie Benson, discipleship course member and new to ACP this past year, chats on how much perspective and insight she has gained from the Old Testament thanks to the discipleship course. Dr. Ron Tappy, Archaeologist, professor and museum director at the Pittsburgh Theological Seminary talks with hosts Pastor Scott Herr and Ashleigh Searle Picq about his work and teaching on the cultural context of Biblical Israel. In the My Story, My Song segment – Sabina Pan shares her testimony and talks about the music that inspires her. We will hear from Lisa Prevett on the successful conclusion of the Young Adults Alpha course. For this special St. Patrick's Day show, host Jim Hobbs and Pastor Scott Herr discuss who St. Patrick was and what made him so famous. 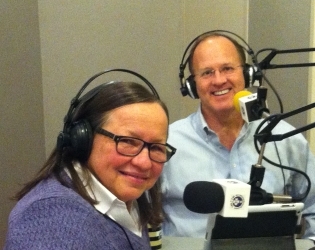 Also, Robert James Oliver and Claudia Garcia talk about organizing and planning the first ever Executive Women in Real Estate conference in Paris on 25 March, and finally ACP member Lola George is featured in the "My Story, My Song" segment, singing her original, "Sufficiency in All Things." Four of our ACP members -- including two youth members -- just got back from their mission trip to India. They'll be in the studio to tell us all about their experience there. You'll also get the latest on the final stages of the Faith Into Action renovation project on the ACP building. Plus, Associate Pastor Michelle Wahila will fill you in on the upcoming family communion class and Visiting Pastor Kit Schooley is on hand with some new ways to mark Lent this year. Hosted by Robert James Oliver, co-hosted by Pastor Scott Herr. Lucinda Laird, Dean and Rector of the American Cathedral in Paris, spoke with Scott Herr about the history and recent renovations at the Cathedral. Ellen Kountz followed up last month’s discussion about Martin Luther King Jr with a look at Black History Month, and the years since the US Civil Rights Act became law in 1964. 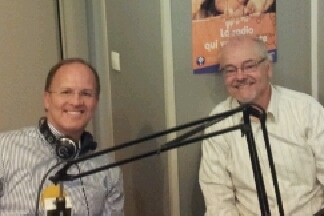 The show finished up with Paris city historian Paul Smith. He shared information about the site of the American Church, where a tobacco factory operated in the 19th century, and spoke about the industrial heritage of the city. It’s the two year anniversary of ACP Today! On this show Ashleigh and Pastor Scott interview Rev. James Bultema, Pastor of St Paul Union Church, a sister church of ACP in Antalya, Turkey. We hear about women being pampered by God’s love at God SPA – the ACP Women’s retreat on 8 February. Members of the ACP running group share their training programme and running devotional as they prepare for the upcoming Paris Marathon. Rev. Dan Haugh talks about the plans for the upcoming mission trip to Pune India. In honor of the Martin Luther King Jr holiday in the USA, Jim Hobbs and Senior Pastor Scott Herr welcome ACP Black History month organizer Ellen Kountz and author and speaker Enuma Okuro to discuss the current state of racism and discrimination in Paris, the States, and worldwide. On this ACP Today, meet new visiting Pastor Kit Schooley and his wife, Terry. Also, singer Alexia Rabé gives a live performance. And you'll learn about the bicentennial year for English-language churches in Paris that's already in full swing. It’s our annual ACP Today Christmas show, so we’ve got lots of music lined up. 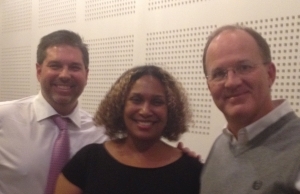 We hear from Senior Pastor Scott Herr and both of our other ACP pastors, Michelle Wahila and Dan Haugh. Our very own Charles Mitchelmore, who sang in Saturday’s Christmas concert, sits down with fellow choir member Philip Glenister to talk about Philip’s role in “My Fair Lady” which is currently playing right here in Paris at Chatelet until the end of the year. Ashleigh Searle Picq and Pastor Scott talk about Advent – the time of preparation and waiting leading up to the celebration of the Nativity. 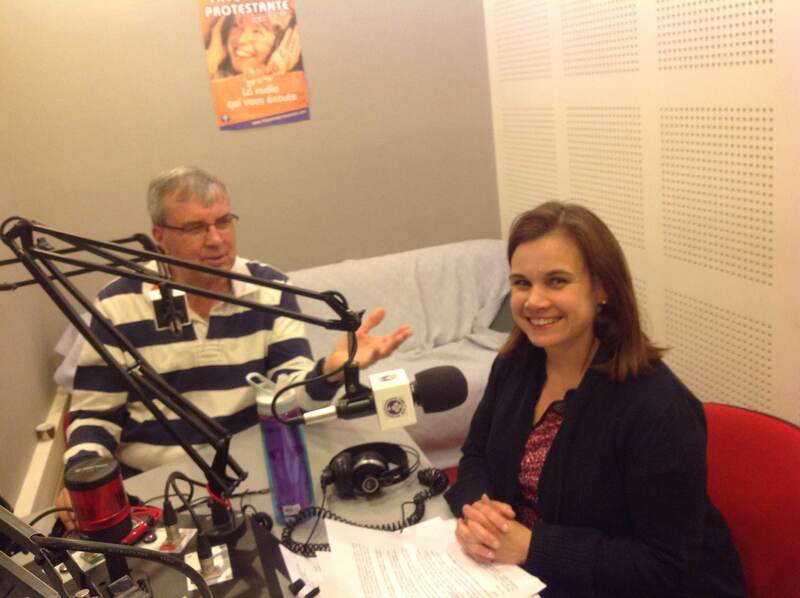 Carolyn Baouzouni, Chair of the Mission Outreach Committee, shares with listeners the wide range of local and international mission projects supported by the American Church in Paris and the motivations for organising the Mission Outreach Retreat on 7 December. John Winings, Executive Director of the Haiti Fund, Inc, talks about what mission is and how churches can effectively engage in mission work. 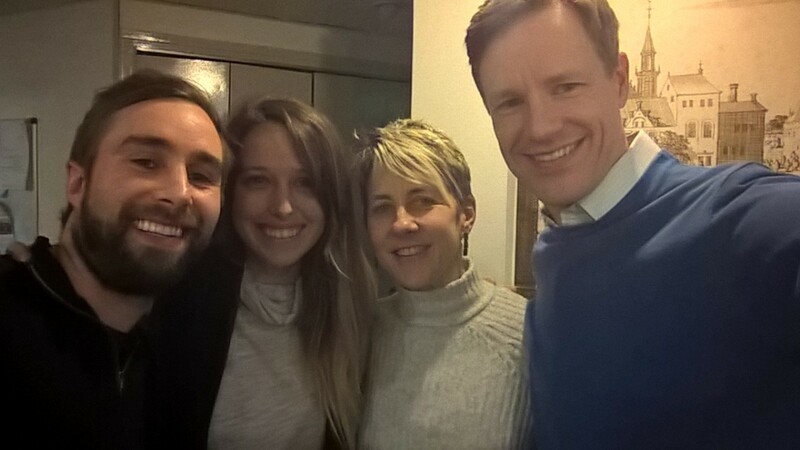 Hanna Woodhead – a former youth intern fill us in on what she’s been up to – including her participation in the World Council of Churches meeting in Korea. The ACP Christmas pageant is coming up on 15 December. Allison Wheeler talks about making sheep ears and making sure the children of ACP understand and know the true meaning of Christmas. On this ACP Today host Genie Godula and Pastor Scott Herr get ready for Thanksgiving by interviewing one of the organizers of the annual AUP turkey dinner in the sanctuary. Also, spiritual author Enuma Okoro talks about her new book, Talking Taboo: American Christian Women Get Frank About Faith, we'll look back at the Remembrance Day Ceremony in English at Notre Dame, and we preview a new segment highlighting ACP parishioners, My Story, My Song. Host Ashleigh Searle Picq talks to Pastor Dan Haugh about the AICEME youth conference in Luxembourg and about the ACP Fall retreat on Tracking God. Natalie Raynal presents the upcoming retreat of the American church in Paris's contemporary worship band, Stillpoint. Trent Meacham, a professional basketball player, and his wife Theresa share their thoughts on basketball, faith, living abroad and the story of how they found the American Church in Paris. 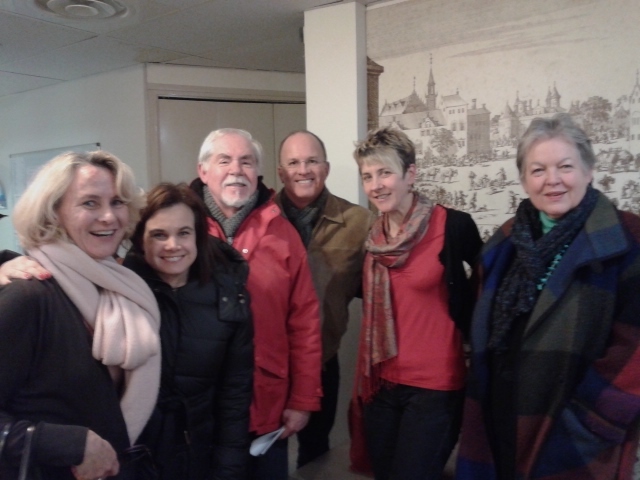 Kristie Worrel talks of the plans for the ACP Marché de Noël on 16 November in support of Mission Outreach activities. 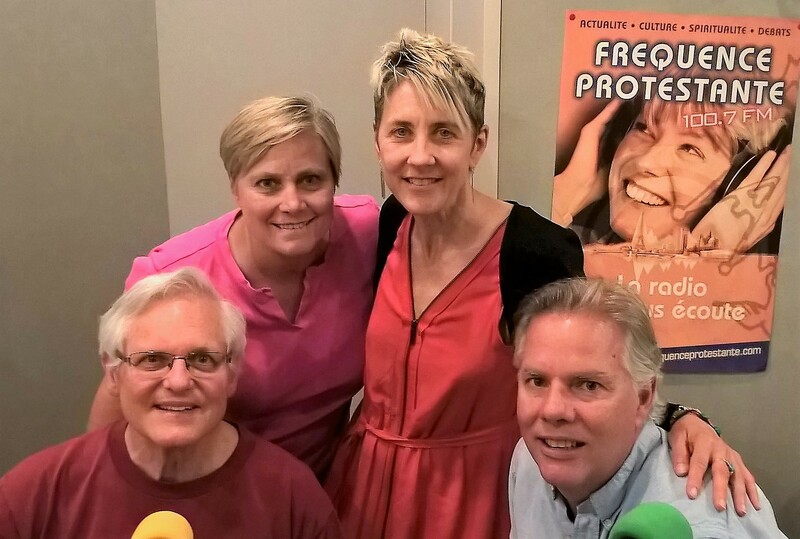 Host Ginny Power talks to ACP's wedding coordinator Ilinca Mreana and Visiting Pastor Bruce Morgan about ACP's wedding ministry, and Senior Pastor Scott Herr tells us about the meditation retreat with Cynthia Bourgeault. At the end of the show, Ginny introduces the upcoming screening of It's a Girl and briefly relays her conversations with producer Andrew Brown and with Deep Griha Society founder Dr. Neela Onawale. Hosts Charles Mitchelmore and ACP Senior Pastor Scott Herr interview Radford Laney, re-elected moderator of the new ACP Council, and discuss how the American Church congregational government works. Two women members of the American Church describe different programs to feed the homeless and hungry in Paris—through the Friday Mission Lunch and the Saturday Sandwich Ministry. And we have an update on the Paris Cub Scouts and Boy Scouts, a movement that expanded into Europe nearly a century ago, from beginnings in the ACP Sunday School. Host An Tampere interviews author and missionary Diane Collard about Forgiveness. Other topics of tonights show include Africa Night with Deborah First-Quao and the Young Professionals trip with Elodie Lasserre. Hosts Charles Mitchelmore and ACP Senior Pastor Scott Herr interview Professor T.M. Luhrmann of Stanford University by phone from Palo Alto about the newspaper column "The Benefits of Church" based on her anthropological research into American Evangelicalism. They also chat with Christian Griggs, Cubmaster of Pack 112, about American Scouts in Paris today, noting that the first American Boy Scouts were founded nearly 90 years ago in the American Church. Pastor Herr looks at Ascension, as well as the Mothers' Day pancake breakfast (12 May), and other events and activities in at ACP in the month of May. 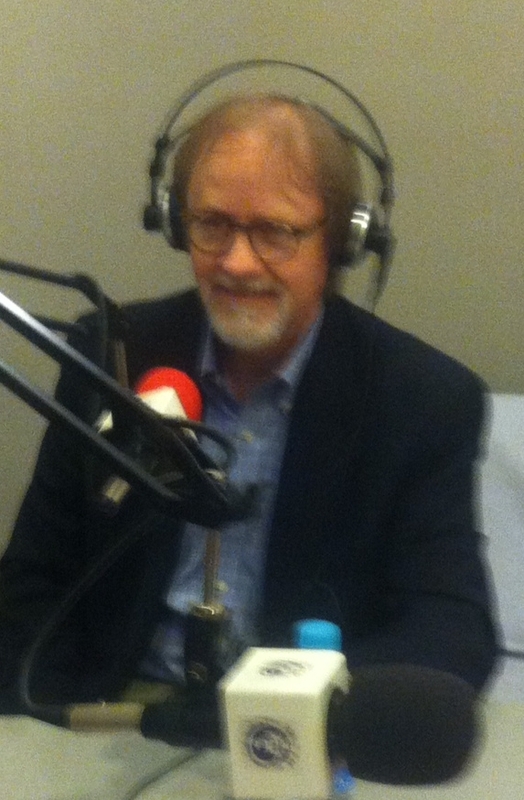 Host Charles Mitchelmore chats with Rev. Bruce Morgan about ACP's wedding ministry. Gregg Foster, retiring president of the American and Foreign Christian Union (AFCU), explains the role of an organization that has been highly important to the American Church through its century and a half history--and now plays a similar role to the ACP sister churches in Berlin and Vienna. Laurana Mitchelmore, accompanist, and Philip Glenister, the bass soloist, discuss the Petite Messe Solenelle by Rossini that is the featured work at this coming Saturday's Spring concert by the American Church choir and the Lux Perpetua choir--a sacred work by a famous opera composer. Host Ginny Power interviews concert pianist Nathalia Romanenko about the upcoming Habitat for Humanity concert, Dr. Julie Canlis about 'Culture, Christian Identity and the Authenticity Hoax' and Pastor Dan Haugh about what follows Easter for Christians around the world and about ACP's upcoming youth events. Chris Pruszko kicks off this ACP Today with a panel discussion on "Answered Prayers" with Kerry Lieury, Prayer Chain leader, Joan Minor, jazz artist and ACP member, and Illinca Mreana, Young Adult Group leader, with contributions by Geni Mermoud and Peggy Smithhart. Chris also interviews Dr. Susan Perry on technology's impact on human rights and how listeners can take action. Finally, Senior Pastor Scott Herr discusses the Holden Service and a Question of Faith describing Holy Week. In today's show, Genie Godula interviews artist Monica Basset-Monteliu about her paintings and inspiration from God; Philippe Dubost talks about his very original job resumé which went viral on the internet; Peter Bannister explains what's happening at the Vatican after Pope Benedict XVI's resignation; and Senior Pastor Scott Herr gives a brief history of Protestantism. This ACP Today looks at multicultural couples, third culture kids (TCK), and ACP's refugee ministry. 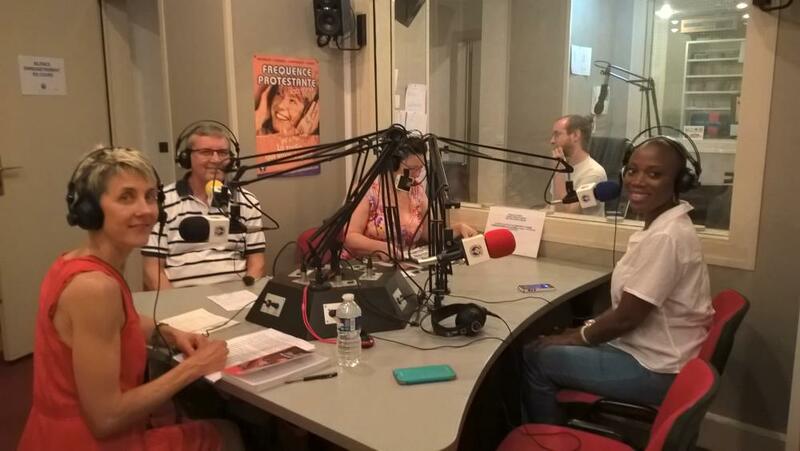 This ACP Today looks at some of the many cultural events on at the American Church in Paris. February is Black History Month and Ellen Kountz is in to talk more about the woman behing the Underground Railway -- Harriet Tubman. We'll also see how the ACP is celebrating the Year of the Snake with its first ever celebration of Chinese New Year. And contemporary music director Natalie Raynal introduces us to 18-year-old artist Phineas. He'll be performing live in the studio in a sneak preview of this week's ACP Café. It's Martin Luther King Day in the US and Human Rights is the theme of this month's Thurber Thursdays. Hosts Ginny Power and Rev. Dr. Scott Herr are joined in the studio by: Youth Intern Hanna Woodhead to talk about her new role at the church; Norma Jean Deak who leads the Mindful Meditation group on Saturdays; and Rabbi Tom Cohen on human rights. Plus a report by Charles Mitchelmore about Martin Luther King, Jr.'s visit to the American Church in Paris. It's our Christmas show ! Hosted by Ginny Power, today's show features more on the meaning of Advent by Pastor Scott Herr and Enuma Okoro, a report by Natalie Hideg on ACP's Christmas pageant, Carrie Cheney on her and husband Yarrow's animated film "The Very First Noel," and Camilla Macfarlane on the upcoming Christmas parties. It's a music extravaganza in this show hosted by Genie Godula. Pianist Laurana Mitchelmore and vocal soloist Philip J. Glenister give a behind the scenes look at the incredible ACP Choir. Bronze Ringers Laura Potratz and Megan Staley will fill you in on just what it takes to ring those bells. And Pastor Scott Herr shines a light on the real meaning of Advent. In today's show, host Genie Godula finds out what the Beatles, U2 and Christianity all have in common thanks to resident theologian Peter Bannister. He'll be giving some highlights from his Thurber Thursday talk on Rock Music and Theology. This year the American University in Paris celebrates its 50th anniversary and outreach director Kristina Keenan will be telling us all about the school that actually got its start in the basement of the American Church... And Camilla Macfarlane shares the secret of making hundreds of little pumpkin pies for the annual ACP Thanksgiving dinner. Host Rachel Ramsay leads the discussion about mission work and mission projects. With Dr. Rev. 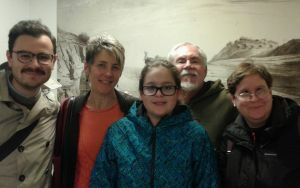 Glen Thorp and his wife Genie Thorp, and guests from Presbyterian missionaries and the Fuller School. Tom Macfarlane hosts the discussion, noting: Paris is a beautiful place to be, yet a difficult place to live. What faith-based solutions help us endure the struggles? Featuring newly-installed Associate Pastor Rev. Michelle Wahila, 2012 Bloom director and senior pastor’s wife Kim Herr, and “Moms in Prayer” leader Caroline Corda-Razat. During the high holy days leading up to Yom Kippur, a focus on the Jewish New Year of Rosh Hashanah. Genie Godula hosts with guests Rev. Dr. Scott Herr, Dr. Angela Hancock, and Rabbi Tom Cohen. It’s Labor Day in the United States and back to school in France. How are our adolescents coping? Rachel Ramsay hosts the discussion featuring Youth and Young Adult Pastor Dan Haugh, Jonathan Grant, Tom Macfarlane and Peter Chalmers. How are we to spiritually survive la rentrée, France’s autumn re-entry to work and school? Host Tom Macfarlane leads the discussion with guests Rev. Dr. Scott Herr, visiting pastor Rev. Dr. Jeff Powell, and Associate Pastor-elect Michelle Wahila. What is the importance of Sabbath and its significance to Christians? Rev. 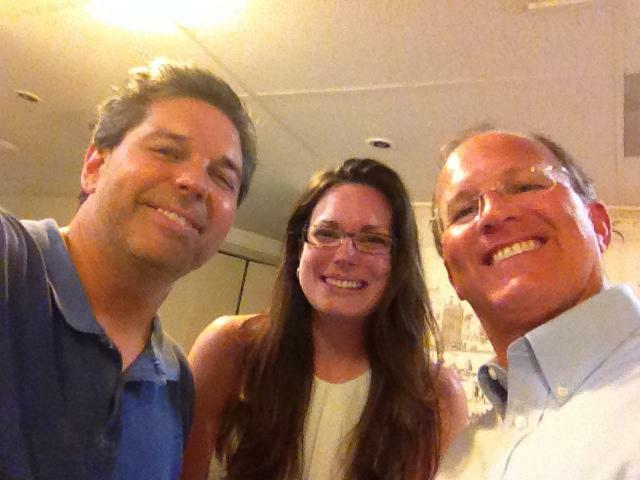 Dr. Scott Herr shares his views during the summer vacation here in Paris. Learn more about the rich history of the ACP building - especially its catacombs and "Josephine" the Steinway Piano. Special Guest Natalie Raynal, Contemporary Music Director, talks about the ACP Contemporary Service, its start and growth at the Church, as well as the importance, significance, and various styles music at ACP. Join us for a discussion of the sportsworld as seen through the eyes of Christians. What can Christians learn from sports and vice versa? Rev. Dr. Scott Herr and Rev. 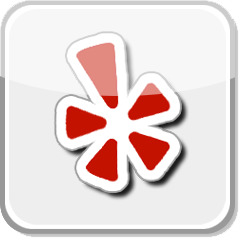 Dan Haugh, Director of Youth and Young Adult Ministries, discuss. In light of the month of July, we also talk about 14 Juillet (Bastille Day) in France and Independence Day in the United States. What's American at the American Church and what ties do both France and USA have to the ACP Church? Rev. Dr. Scott Herr sheds light on the search process for a new Associate Pastor here at the American Church in Paris as well as the job itself. An in-depth look at the Friday Mission Lunch at ACP and its history in Paris focuses on just one way you can help serve the local community. Finally, special guest Laura Moore, ACP's Artist in Residence, joins us for a discussion about the link between spirituality and art. What are your thoughts about sending your children to non-Christian schools? Join our conversation on the topic. After the wonderful performance of "Soulz" here at ACP this past weekend, we discuss the inspiration for this musical voyage and the strong Christian message behind it. Dawn Haughton (writer) and Prince Moses Ofori-Atta (actor) join Rev. Dr. Scott Herr for a conversation about this fundraiser benefiting The Living Truth Foundation and how it came about. Our Visiting Theologian here at ACP for the next few weeks, Enuma Okoro discusses her first book "A Reluctant Pilgrim" along with her search for a spiritual community, relationship with Christ and the ups and downs of a life of faith. In addition, one of the strongest fellowship's at ACP, the Philipino Fellowship, shares its journey from inception to the present day mission at the Church and in the Parisian community. Modern day mystic, Episcopal priest, writer, and internationally known retreat leader, Rev. Dr. Cynthia Bourgeault talks about Interior Silence, Centering Prayer, Christian Meditation, Spirituality Practice and the Recovery of the Christian Contemplative Tradition. Rev. Dr. Scott Herr and Peter Bannister, Resident Theologian at the American Church in Paris, join us in the studio for this fascinating discussion. Also, Rev. Dr. Scott Herr offers his reflection on the recent Presidential election and Presidential campaign here in France and how it affects us as Christians. In light of "Low Sunday," the Sunday a week after Easter, we discuss dealing with suffering, tragedy and bad news as Christians and justifying God in the face of these circumstances. Later, Rebecca Konyndyk DeYoung, author and professor of philosophy, joins us to talk about her book "Glittering Vices: A New Look at the Seven Deadly Sins and Their Remedies." A discussion about self-examination, self-understanding, spiritual growth, and philosophical insight as well as details of vainglory, envy, sloth, avarice, wrath, lust and gluttony follows. Learn about the ACP Mission Outreach as we discuss our upcoming Mission Trips to Africa and Romania and fundraisers coming up to help fund both efforts. Rev. Dan Haugh, Director of Youth and Young Adult Ministries, talks about the upcoming Youth Group trip to Africa focusing on construction, education and teaching. Habitat for Humanity's history is discussed as well as the ACP's Young Adult Group's mission to Romania to build housing for needy people in that part of the world. We close with Rev. Dr. Scott Herr talking us through the current Holy Week here at ACP and the events that are and will be taking place at the American Church in Paris during Easter. 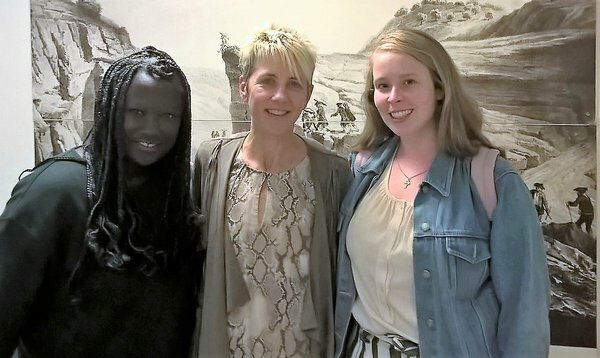 The African Fellowship's new President, Elizabeth Eposi, talks about the organization founded in 2001 and how it helps expatriated African Christians constitute families away from home by focusing on Unity, Love, and Fellowship during their meetings at the American Church in Paris. Rev. Dr. Scott Herr, Senior Pastor, and Peter Bannister, Resident Theologian, interview Prof. Keith Ward who will be a guest speaker at ACP in late March. Keith is a British philosopher, theologian, pastor and scholar, and will be talking about "the big questions in science and religion," amongst other topics, while visiting us in Paris. Alison Benney gives us a tour of the Church's sanctuary - please join her on Sundays after the 11h00 service for Docent Tours of the American Church in Paris to learn more. Rev. George Hobson, a pastor, a distinguished international academic and theologian, talks to Peter Bannister about a very difficult topic - how to hold onto Christian belief in the world of great suffering - after seeing much pain and sorrow personally while visiting Rowanda, Burundi and Armenia on teaching mission trips. Rev. Hobson will be joining us at ACP during Thurber Thursdays' latest talks focusing on Faith and Science later in the month. With Ash Wednesday nearly upon us, the Rev. Dr. Scott Herr explains the liturgical year and the liturgical calendar and takes us through the Christian year and its feasts, celebrations, holy days and their meanings, history and Biblical background. Learn more about "Josephine" - one of the oldest members of the American Church in Paris - she's not exactly a patron - she is the Church's 9 foot Steinway concert grand piano.